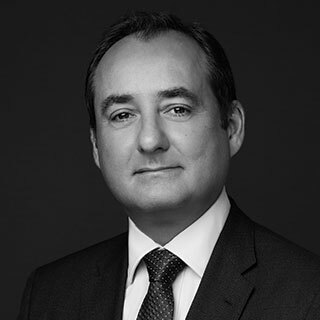 Simon Taylor is a director in FRA’s London Office in the Forensic Accounting team. He is a dual qualified lawyer (solicitor and barrister) and provides in-house support to the firm on the compliance, forensic accounting and eDiscovery practices. He has in-depth experience in white-collar investigations, financial regulatory enquiries, corporate fraud and corruption. He has extensive experience in structuring and delivering advice to corporate clients on all aspects of governance and compliance risks, including anti-bribery, fraud, anti-money laundering, tax evasion and sanctions abuse across sectors including financial services, engineering, extractive industries, pharmaceuticals, private equity, real estate and commodities. Simon works with law firms to bring a multi-disciplinary approach enabling corporates and financial institutions to respond to and resolve complex multi-jurisdictional regulatory enquiries stemming from financial crime issues including money laundering, bribery and corruption, sanctions abuse, tax evasion and fraud. His experience extends to numerous geographies including the UK, US, Switzerland, the Nordic region, Eastern Europe, Russia, India and China. Beyond the investigatory context, Simon also regularly advises companies on the structure, design and testing of compliance programmes and related corporate governance issues. Simon is an editor of the leading academic textbook on the UK Proceeds of Crime Act 2002 – Mitchell Taylor & Talbot “Confiscation and the Proceeds of Crime” published by Sweet & Maxwell – in which he writes the “Investigations” chapter. Prior to joining FRA, Simon gained invaluable experience as a trial lawyer with 15 years’ experience of jury, appellate and tribunal advocacy, prosecuting cases on behalf of UK enforcement agencies, including the Serious Fraud Office, and defending corporates and individuals faced with complex white-collar crime, money laundering, tax and professional disciplinary matters. Simon has also served as head of Weil Gotshal & Manges’ London White Collar practice and prior to qualifying as a lawyer, Simon worked in-house at a global investment bank.